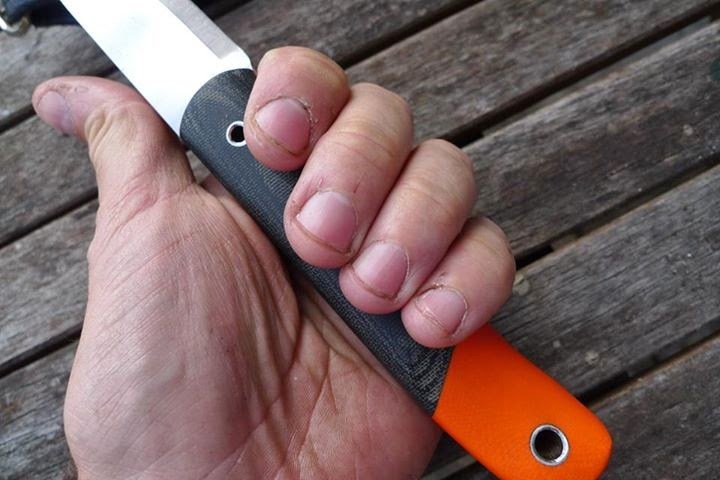 A JLT bushcraft knife rehandled in black micarta and orange G10. 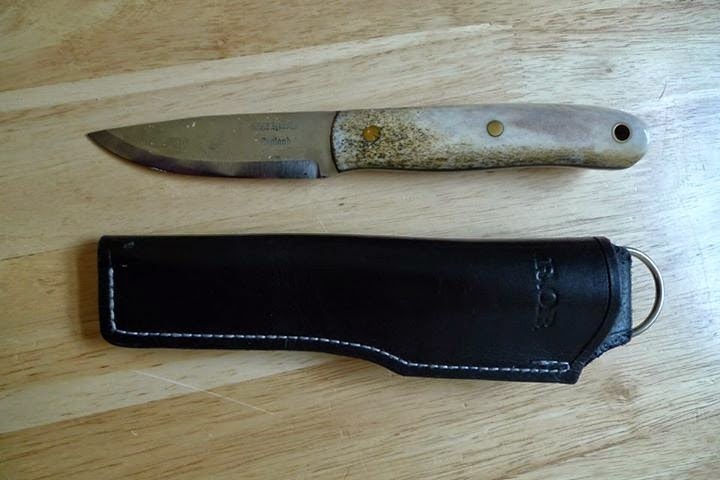 This one arrived like this with antler scales that were too slippy in use. 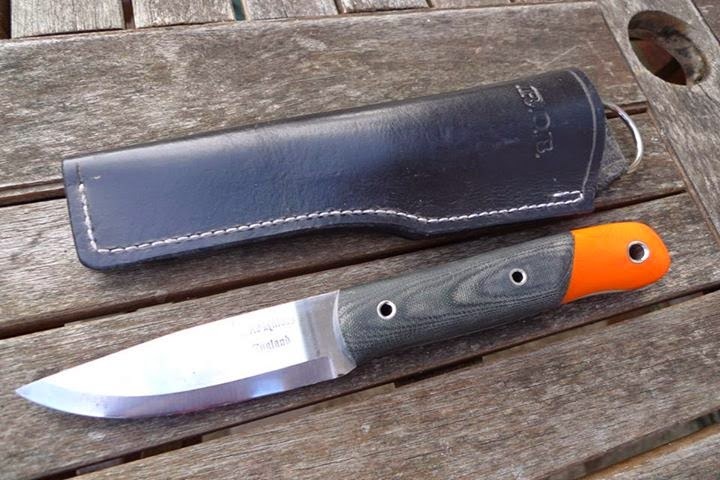 The blade is from JLT / Just Like That knives and the sheath by Luckylee / Lee Bennett. 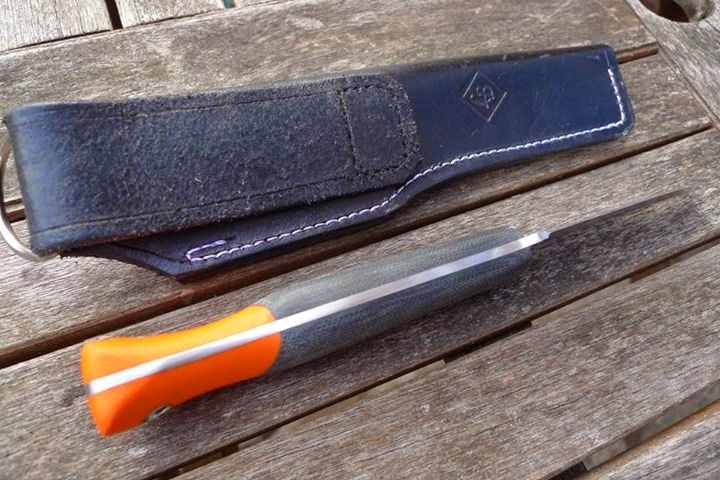 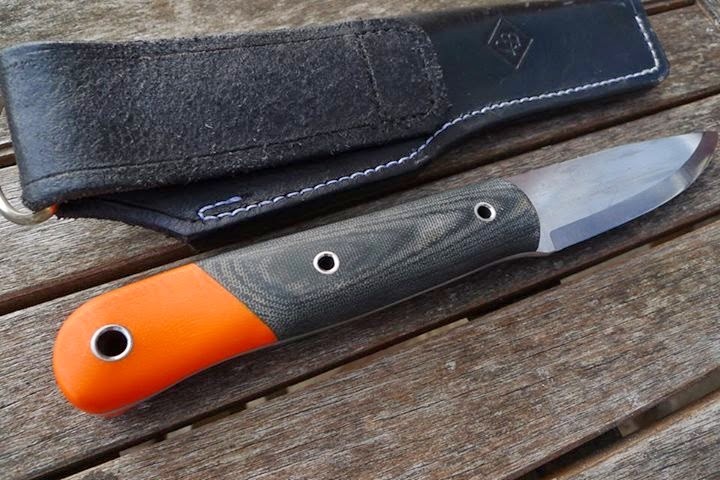 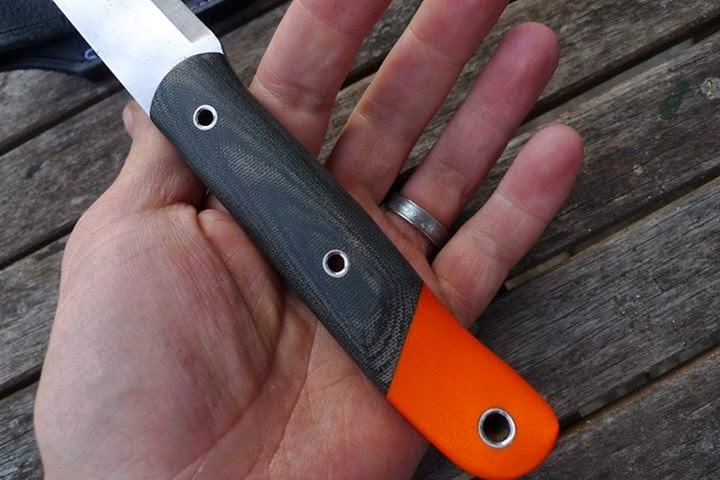 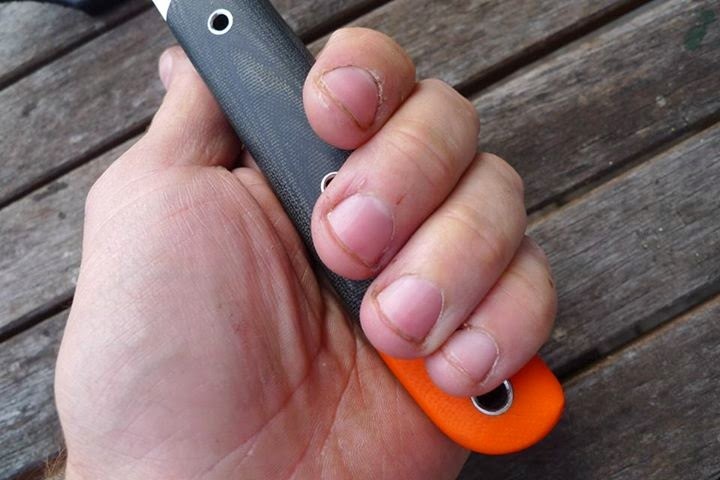 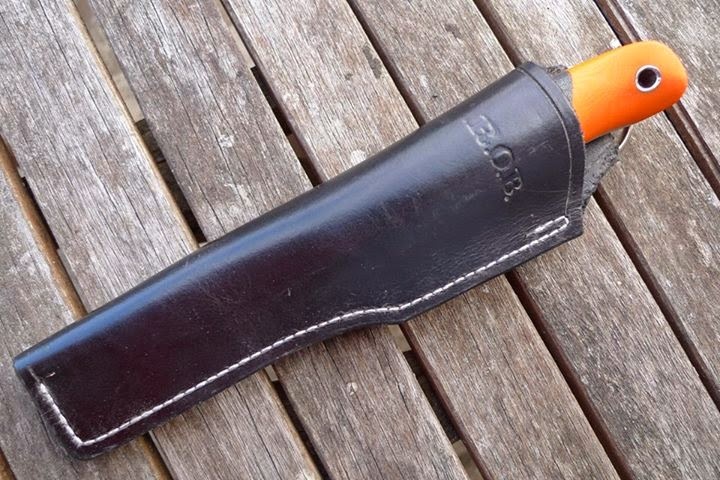 It was settled on a two part handle - black micarta for the front two thirds and then orange G10 at the back. 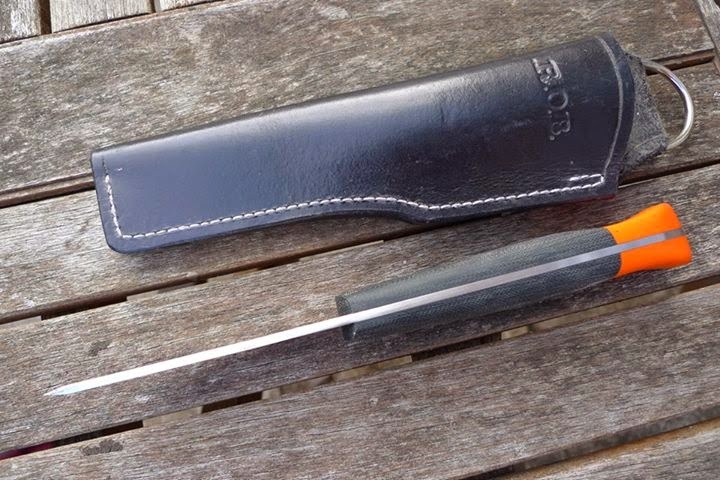 This shows the good thing of going custom - the handle is huge for me but perfect for the owner!